OttLite-TrueColor Replacement Bulb. TrueColor light bulbs allow you to see details clearly and colors accurately as well as reduce glare and etestrain. 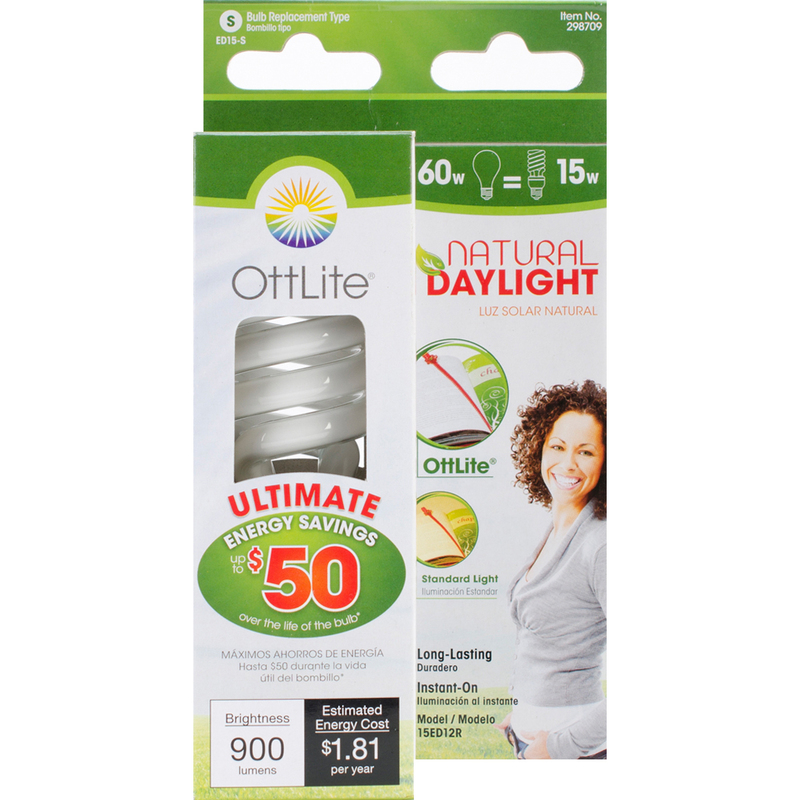 Lighting from 15 watt Ottlite bulb is equivalent to 60 watt standard bulb. This package contains one 15 watt Ottlite replacement bulb. UL Listed. Imported.